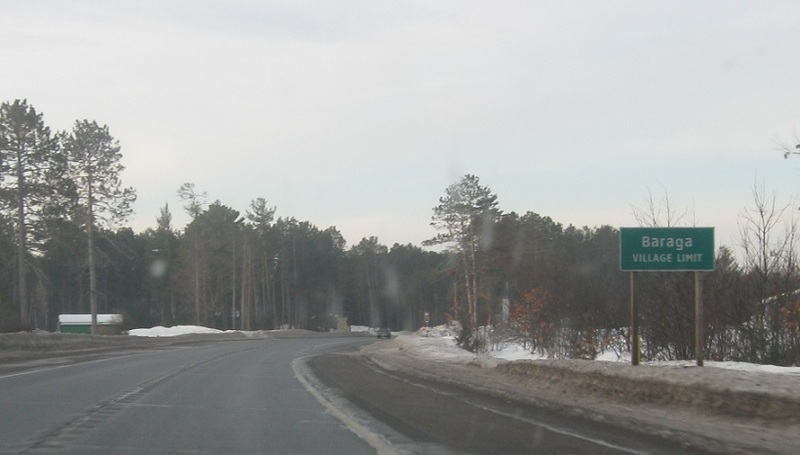 Reassurance shield as US-41 and M-26 finally go their separate ways. Reassurance shield two blocks later. 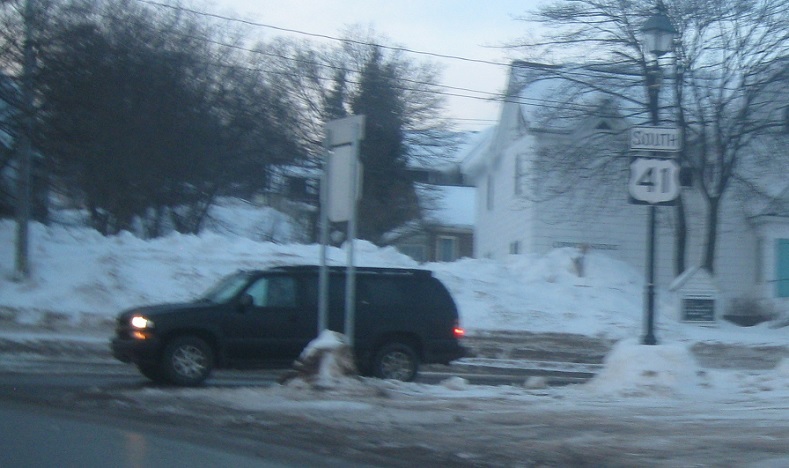 As the one way couplet comes to an end on the east side of downtown Houghton, do a u-turn to get back on 41 north. 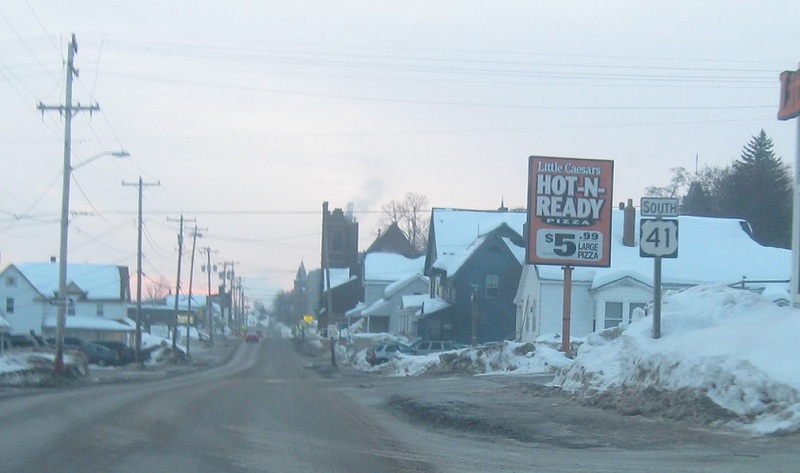 Reassurance shield a few blocks later as we loop by the Michigan Tech campus. Reassurance shield as we head out of Chassell a few miles later. 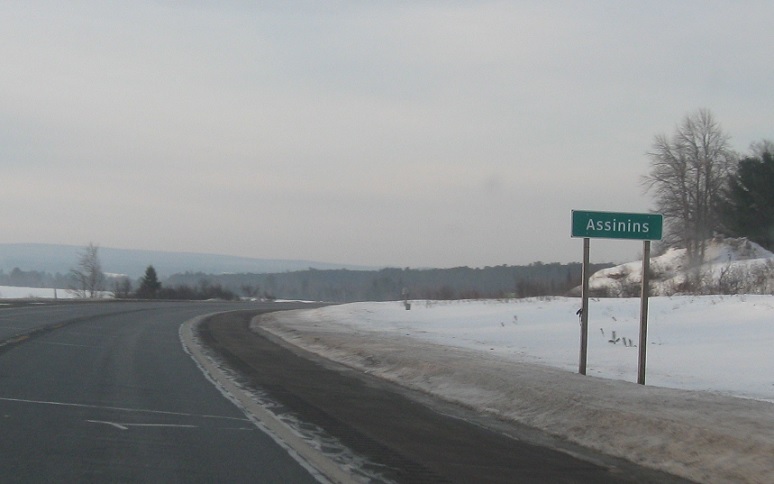 A few miles later, we’ll enter Baraga County and unincorporated Assinins. 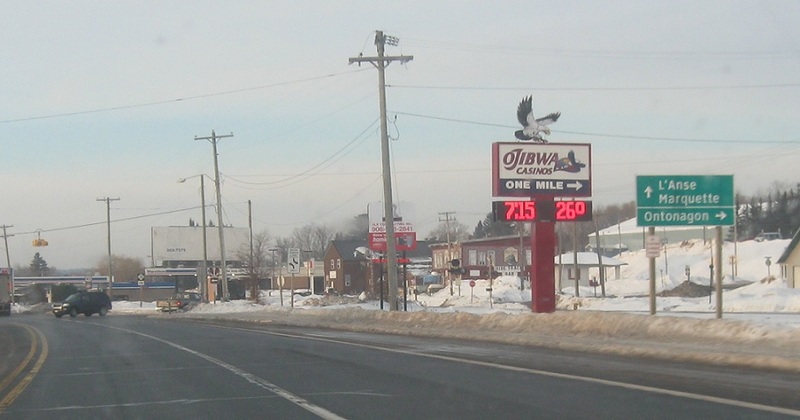 A couple miles later, we’ll enter the village of Baraga. 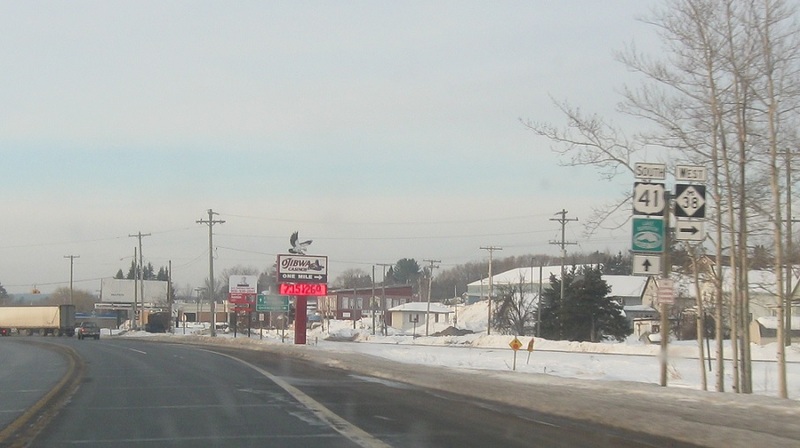 In Baraga, we’ll approach M-38. 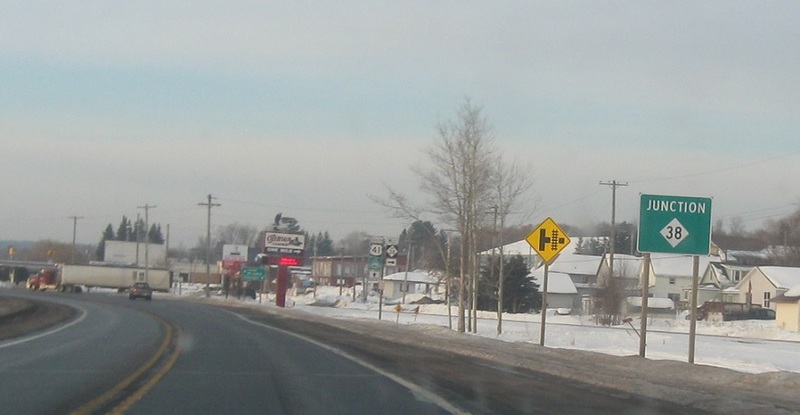 Turn right ahead for M-38 west. 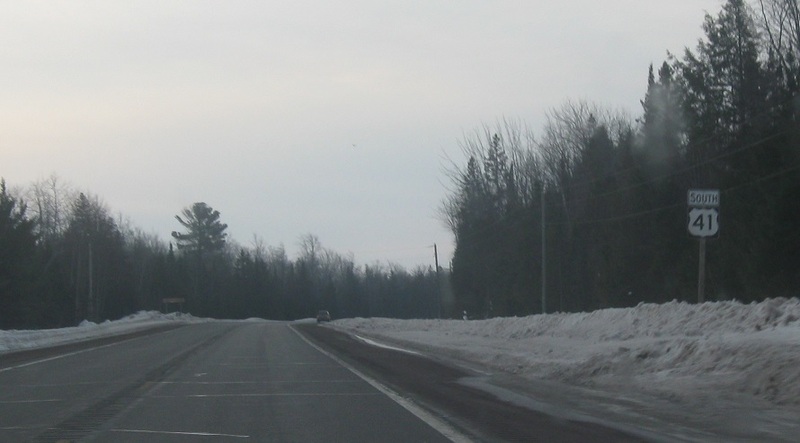 Follow M-38 west to Ontonagon. Stay on 41 south for L’Anse and Marquette. 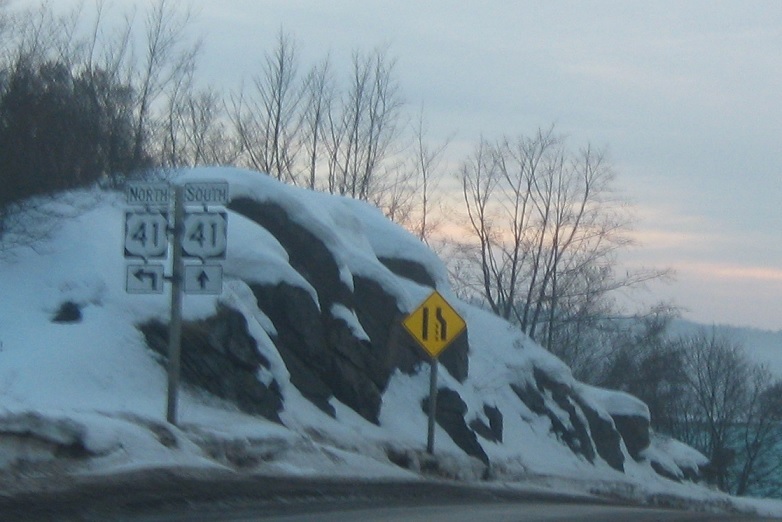 Turn right for M-38 west.